The story of 1950s art begins at the end of the Second World War, because it was such a rupture to the body of the world, that the post-war art beginnings extend from mid 1940s to the next decade. Slowly, as the world start recovering from the war trauma, new art movements used to develop worldwide. Major influences on the 1950s art were made by 1920s avant-garde movements, modernism, surrealism and abstract painting. There are only few art styles continued even throughout the period of the war, and those were withheld by individual practices of influential artists from pre-war era such as Pablo Picasso, Salvador Dali, Max Ernst, Marcel Duchamp. For many artists, World Wars of 20th century brought the migration, and significant authors of 1950s decade were escaping Nazism in Europe by settling in United States, which make New York the world’s capital of art. 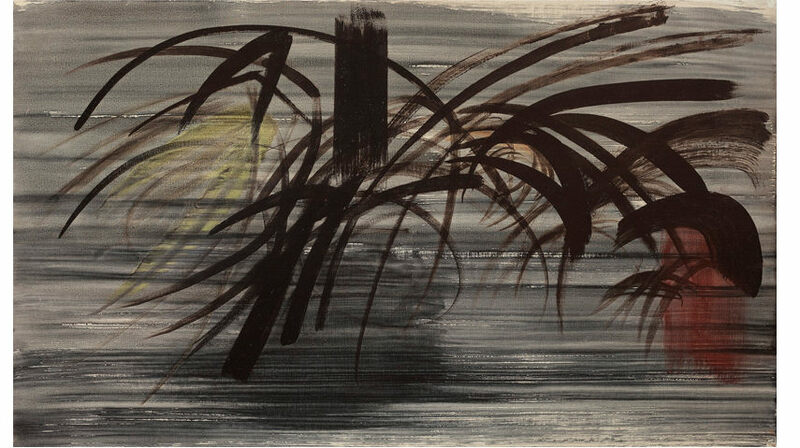 Check out more artworks from the 1950s! While the world was recovering from the war, two opponents derived from the ambivalent Allies of WW2 – Eastern, composed of the Soviet Union and its satellite states, and Western bloc United States, its NATO allies and others. Basically world was separated on the supporters of one or another competitive unions. A big distinction was in their concepts of prosperity and politics, since Eastern bloc continued implementing revolutionary propaganda forming communist regimes in Eastern Europe and Asia, the Western bloc reached the state of developed capitalism, insisting on free market, commercial design, popular print and advertising. 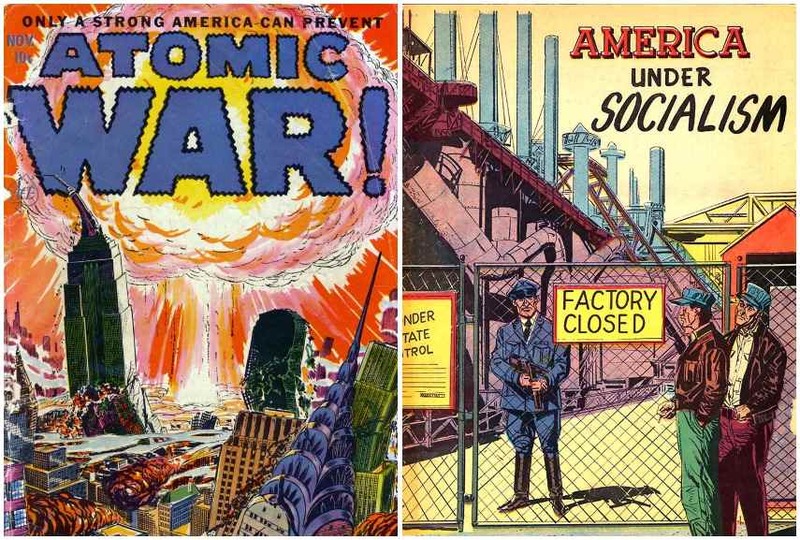 In 1950s, Soviet Union and United States entered the nuclear and space race, the decolonization of the Third World was blooming, and the Great Two competed for ideological predominance in those newly formed countries. As the culture is mighty tool for imprinting political ideology and/or economical agenda, art of the 1950s was one of the battlefields for the ultimate and long-lasting victory of communism or capitalism as the proposals for the New World Order. From one hand, Soviet Union and other communist regimes of the East showed lack of understanding for the art practices of Modernism, interpreting non-representative forms of art as incomprehensible for the proletariat, while United States’ government through funding and organization directly supported rise of abstract art to show progressive and liberating character of capitalist society. In forthcoming years, it turned out that the both of them was wrong, as the developed movements in 1960s and 1970s heavily criticized the 1950s art world. As complex art movement in late 1940s, abstract expressionism was logical continuation of the anti-figurative aesthetic of the European abstraction and Modernist styles. 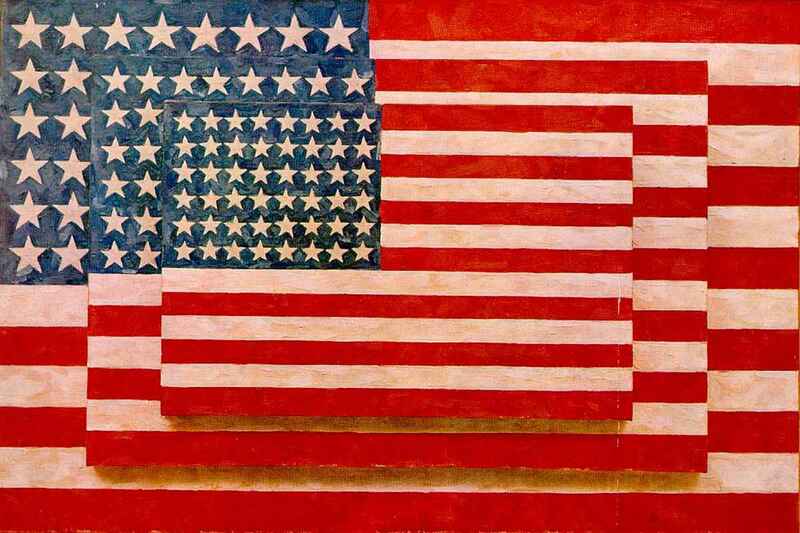 During and after the war, United States and especially New York became the gathering place of European artists, dealers and collectors escaping Nazi regimes. At the time, New York hosted Yves Tanguy, Max Ernst, Peggy Guggenheim, Marcel Duchamp, André Masson, André Breton, Marc Chagall and Piet Mondrian and became art metropolis. Thus, American Abstract expressionism brought together influences of Surrealism, Cubism, Fauvism, and early Modernism as well as notable Bauhaus influences. 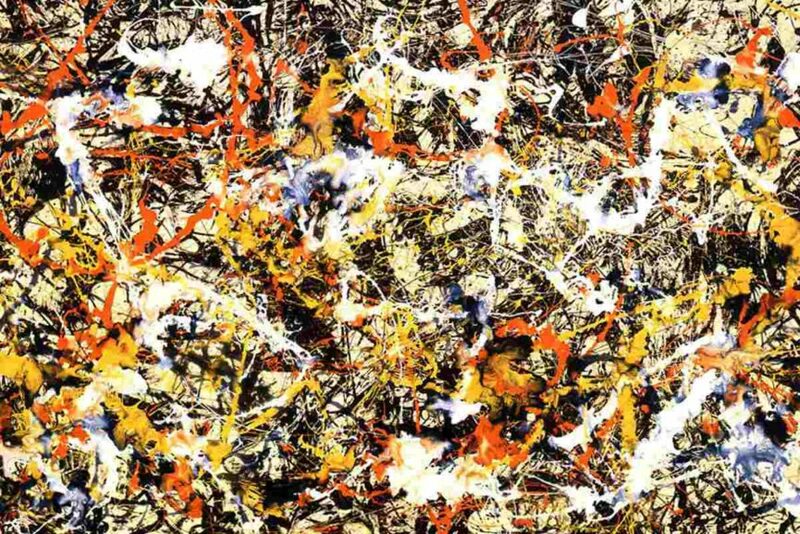 Even though Abstract Expressionism movement was wide mainstream, it could be roughly divided between two major painting sub genres – Action Painting and Color Field Painting. Action Paining is painting movement widespread in New York art scene from late 1940s to mid 1960s and is often seen as synonym of the abstract expressionism. The movement shifted the focus of the painting objects (finished artworks) to the very painting process and act of the creation. 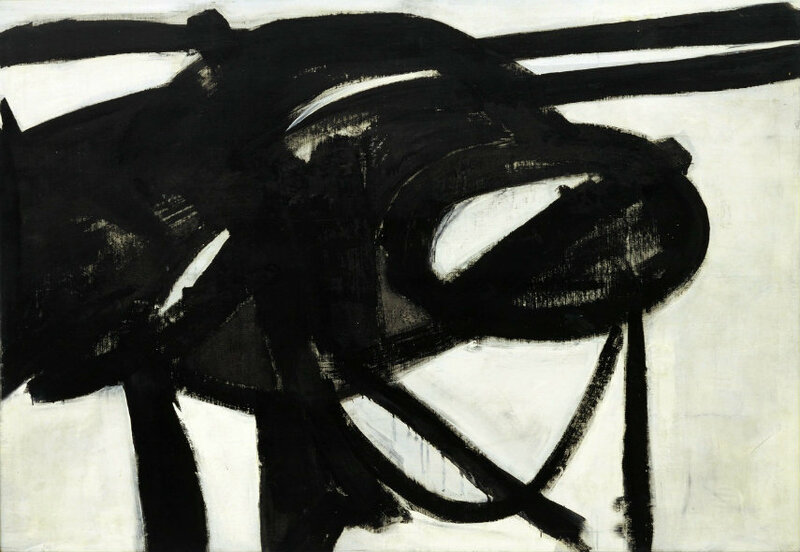 While Jackson Pollock insisted on physical act of painting, approaching the concept of Breton’s automatic writing, Willem de Kooning created the series of violated figurative paintings and Franz Kline focused on esthetic of the actual brush strokes in his calligraphic abstraction. Another style of abstract art, born in New York scene of 1950s was Color Field painting, which is largely influenced by European Modernism and its sublime geometric abstraction. As the name suggests, color was the main subject of the paintings, liberated from any objective context or the meaning in favor of expression of the sublime human emotions. 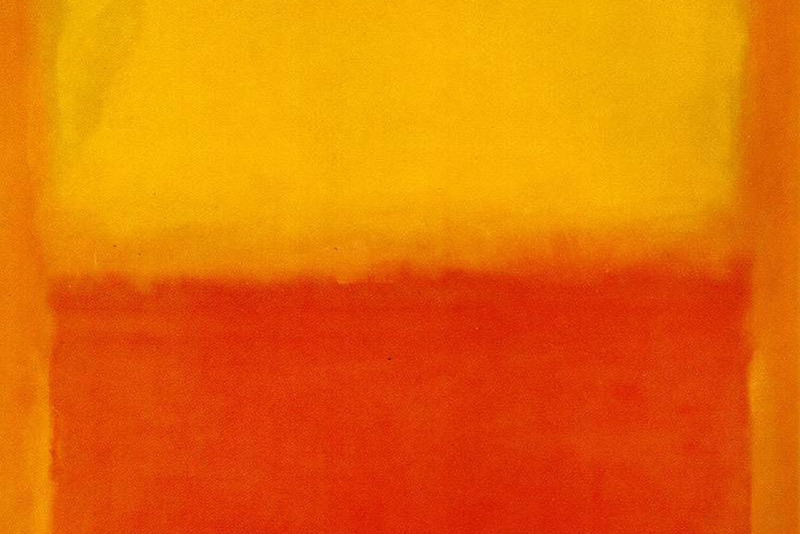 One of the most significant authors within the movement was Mark Rothko who even denied his connection to abstract art, insisting on mystic spirituality of his canvases, while Clifford Stills landscapes contained primordial reminiscence on nature or human history. Robert Motherwell painted great open fields of colors, composited with lines and shapes and Barnett Newman tried to reflect Jewish history and tradition trough the language of pure colors. 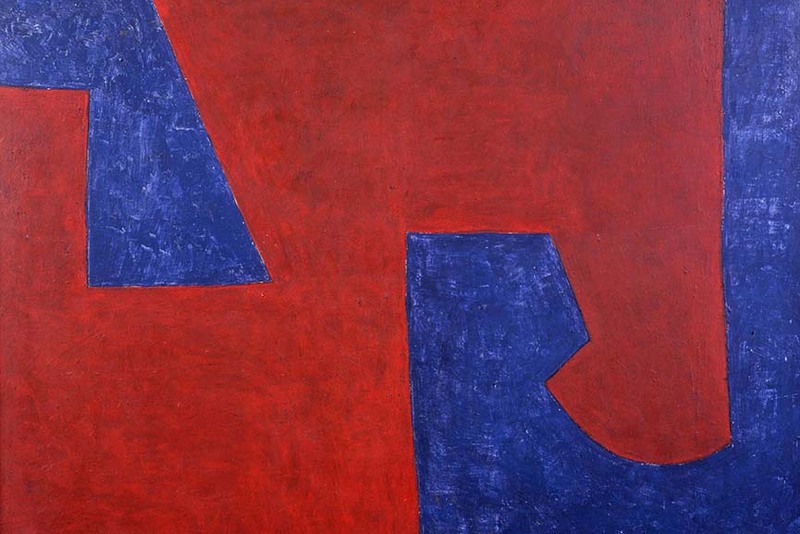 There are many art movements had started in 1950s and reached its peek in decades after. Notably the most important movement was abstract expressionism, but it influenced the many art practices wordwide, like modern sculpture, pop art, neo dada, art informel and lyrical abstraction. 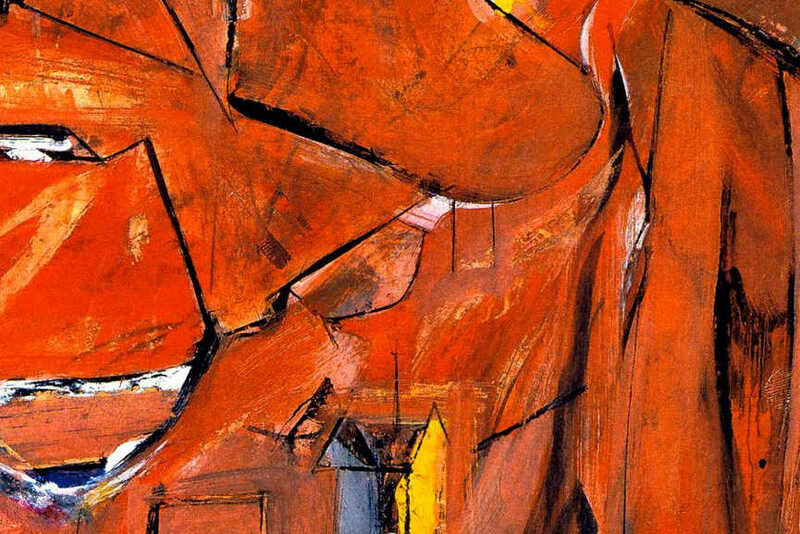 All these styles was deeply rooted in the fact that Abstract Expressionism was massively present within the art scene and art education in 1950s, which was, as we said politically motivated as contrapunkt to the Soviet realism. 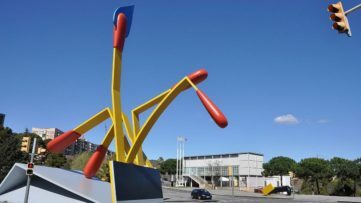 Sculptors in the 1950s start experimenting with different materials and large scale projects which consequently led to the uprising of landscape art in 1970s. 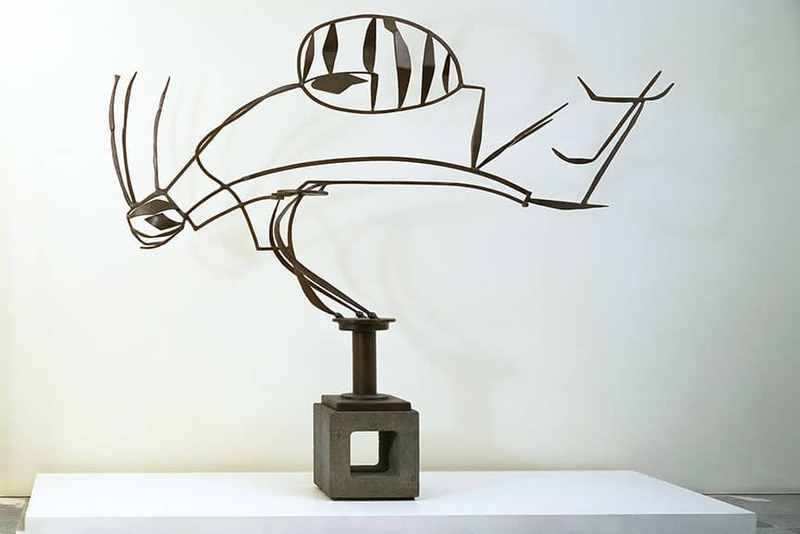 New modernist language included surrealist visions, anthropomorphic forms and impressive material combinations and extensive use of steel and ready-made in sculpture. The new language of abstraction was embraced by John Chamberlain, Henry Moore, David Smith, Alexander Calder, Jean Tinguely, Isamu Noguchi, Louise Bourgeois and Louise Nevelson. 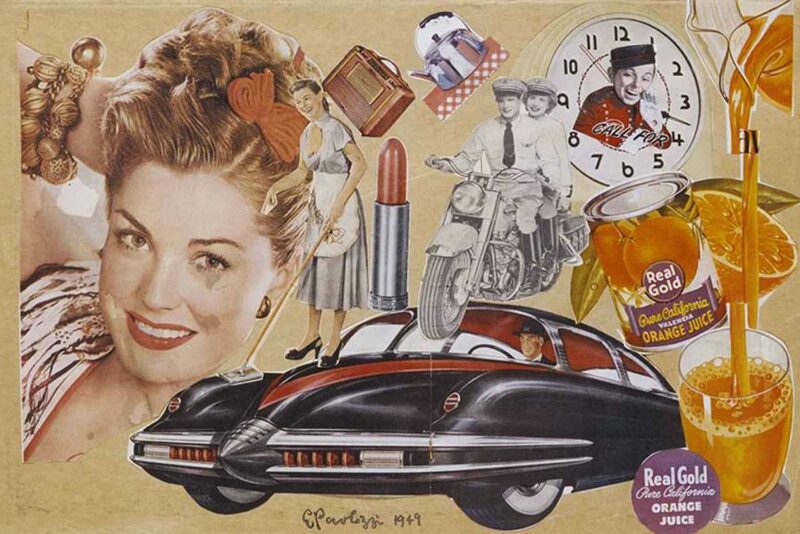 During the 1950s in Britain, there was early pop art movement lead by Eduardo Paolozzi and Richard Hamilton but it quickly spread to american culture in work of Robert Rauschenberg and Jasper Johns. Beginnings of the pop art were related to the irony shown to the fast growing society, life, space and design images inevitably changed by consumerism, as well as to the critique of the elitist world of high culture and abstraction in art. First phase of the pop art it is characterized with artworks from found and used objects, in the best tradition of ready-made, as well as the rise of cheep techniques such as collecting, collage, design or silkscreen print and other means of mechanical reproduction. While the title of cultural capital of the world was moved to New York, in the Paris devastated by war destruction, the art movements were formed as a reaction to the former dominant art practices – Surrealism, Cubism and Geometric Abstraction. 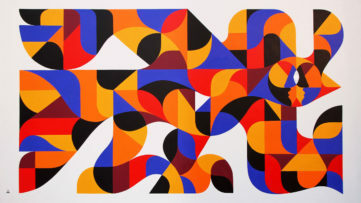 At the same time, Abstraction Lyrique was the popular competitive practice to the Abstract Expressionism in US and the poetic answer to the world of “cold abstraction” of Kandinsky. Tachisme (French word tache could be interpreted as stain) and Art Informel are the almost synonyms to the Lyrical Abstraction since the stain painting, non-formal art and use of calligraphy were known within the Paris School 1950s explorations in painting media, which widely influenced European COBRA and Japanese Gutai group, as well as authors in United States. 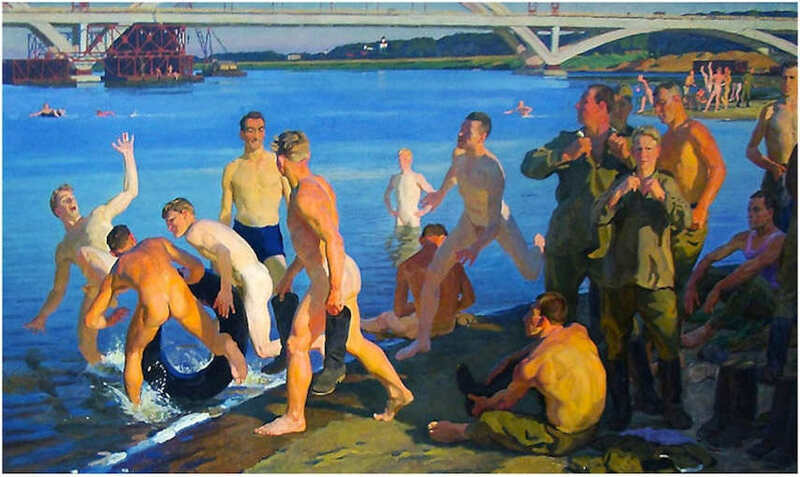 The different standpoints between East and West in 1950s widely influenced the art scene – in Eastern bloc socialist realism provoked politically engaged art or continue to develop in North Korea and in Western world blossomed movements with an answer to the rise of capitalism. We might say that in 1950s one could draw a line between East and West, exclusively based on the attitude towards abstract art. 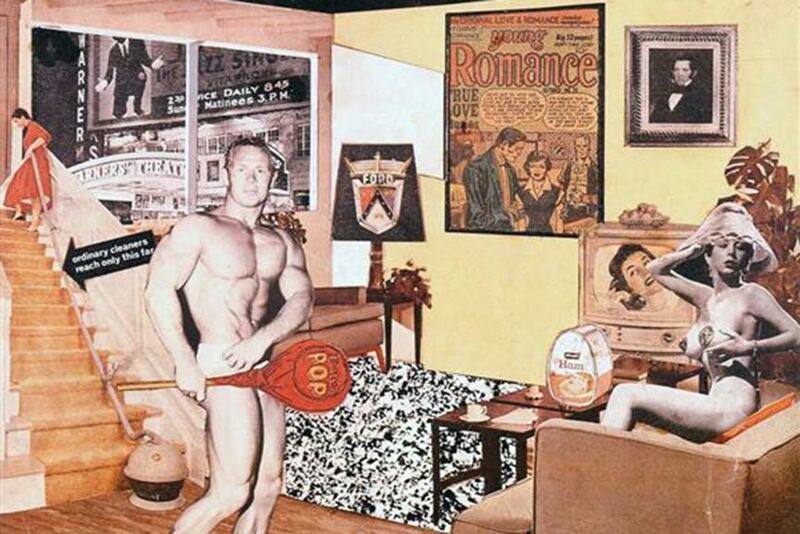 This strict division in treatment of abstraction was ignition spark for birth of Pop Art, New Figurative Art as well as Situationist Internationale and Conceptual Art and their neighboring practices in 1960s and 1970s, since new art movements reacted on strong governmental influence on art during fifties, equally on East and West.